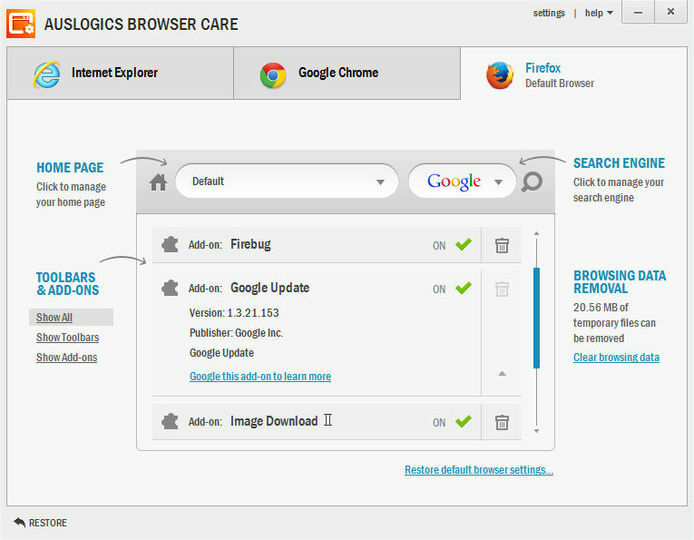 Auslogics Browser Care is a tool that lets you manage your Internet browsers. Clean up, speed up and keep your web browsers well-maintained for top performance. It lets you check what plug-ins are installed on each browser and toggle them on or off, and plenty of other useful features. The best thing about Auslogins Browser Care is its price tag: FREE.